A listing on GAME’s website revealed the first details on the new Need For Speed: Most Wanted coming to the Vita. The PS Vita version of the game will include events and challenges that makes use of the console’s hardware features including the camera and microphone. According to the retailer, the handheld version will contain “Vita exclusive features”, including Vita-specific events and challenges that you can play using the front and rear touch pads. 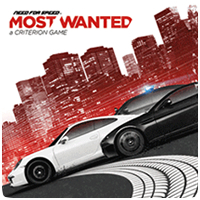 Need For Speed: Most Wanted comes out for Xbox 360, PS3, PC, and PS Vita November 2.